This pendant is cast with an brass and glow spiral design and a gold leaf body that also glows green. There is a triple Tesla coil on the backside. 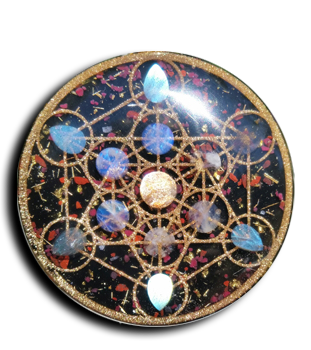 The front of the pendant is inlaid with jasper, shungite, burgandy sand and galena.